QuinLED-Dig-Uno has not been released yet! To build the QuinLED-Dig-Uno you are going to need several components which are listed below. As a little disclaimer, please take a look at this article about my shopping links. After reading that, make sure to also take a look at the additional hardware and tools you might need to be able to complete this project. Then I also have articles about 5v and 12v addressable LED strip and the differences of them and even an article about different form factor addressable LEDs you can buy! What a single fully built QuinLED-Dig-Uno board will cost is a bit harder to determine then my other boards because you have several options. 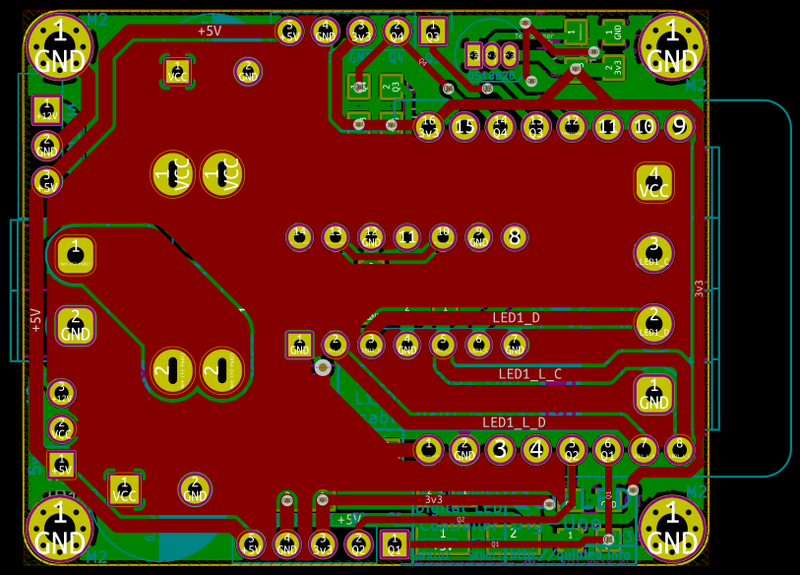 Those options are to make the board only 5v compatible or 5v and 12v (requires extra components). The second choice is if you are going to use an ESP8266 or a ESP32. The base board with only 5v compatibility will cost you about 8$, adding 12v compatibility to that will cost you an additional 3$. So that raises the total cost from 8$ to 11$. Then you can use an ESP8266 or ESP32. An ESP8266 (Wemos D1 Mini) will cost you about 2$ if you’d rather run an ESP32 this will cost you about 6,5$ to 7$. So the cheapest would be a 5v only board with an ESP8266 on it and that would cost you only 10$. The other side of the spectrum is a 12v compatible board with an ESP32, this will set you back 18$ per complete board. Most components come in multiples of 5 or 10. I will try to link to several batch sizes available so you don’t immediately have to buy the amount for 10 or more boards. Of course, if you do, the per board the price becomes (much) cheaper! Also when buying larger amounts of components you slowly but surely amass common components used in hardware tinkering and they are convenient to have lying around! This link is for ordering 5x5cm boards which will yield you 10 to 12 functional boards. If you would like to order more then one of my designs check my separate page up where you can buy combined versions with different designs on one PCB! I currently do not have the gerber files available. I might release these in the future so you can use your own favorite board house but in the past I’ve had issues where people would keep using (and spread) old versions because that’s what they downloaded at some time. Also there were complications where certain board houses did things differently then I expect them to do. That complicates things such as optimizing and improving the design over time, hopefully you can understand. The main brains for the QuinLED-Dig-Uno can be the Wemos D1 Mini which is an ESP8266 based board or the Wemos D32 Mini which is an ESP32, the PCB has been designed in such a way that you can literally swap them! The main advantage of the ESP32 is that it’s a lot faster so it can handle more LEDs or sensors connected to it using the GPIO pins. A secret bonus feature is that while this board is called QuinLED-Dig-Uno, if you use clockless (only one (data) pin like ws2812b) LED strip you can actually hook up two at the same time and drive both separately! The ESP8266 just doesn’t have the horse power to do that. For more differences check out the Board info page. 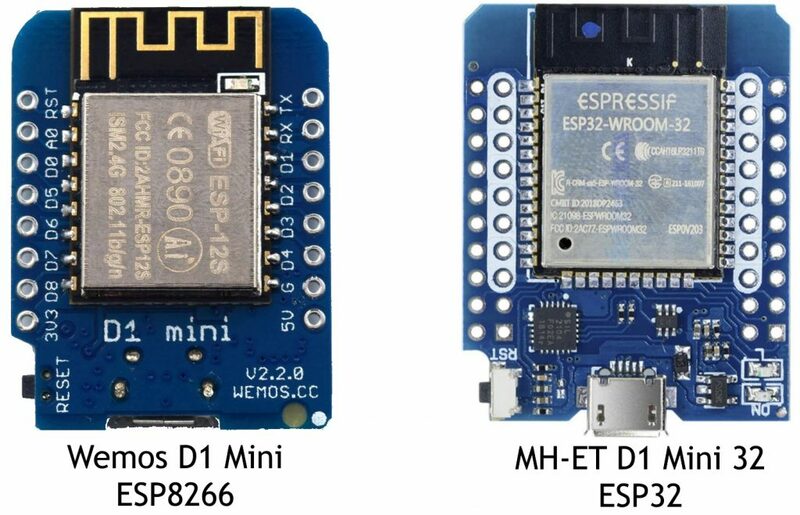 *These wemos boards are different then the MH-ET Live ESP32 boards I usually use, my other designs will still use that one though! In theory you don’t need to buy these because they should come with your Wemos D1 Mini or Wemos D32 Mini. If they didn’t you need 2x 8 pins female headers. To secure all the wires to the board you are going to need several screw terminals. I personally use different colors for input and outputbut buying multiple colors does make it more expensive (buying multiple colors gets you a lot). For the LED Data and LED Clock channel outputs I like to use blue terminals because it’s more alike to GPIO. With that said, the board + and – output terminals are on the same block! You need 1x 4 pin terminal. 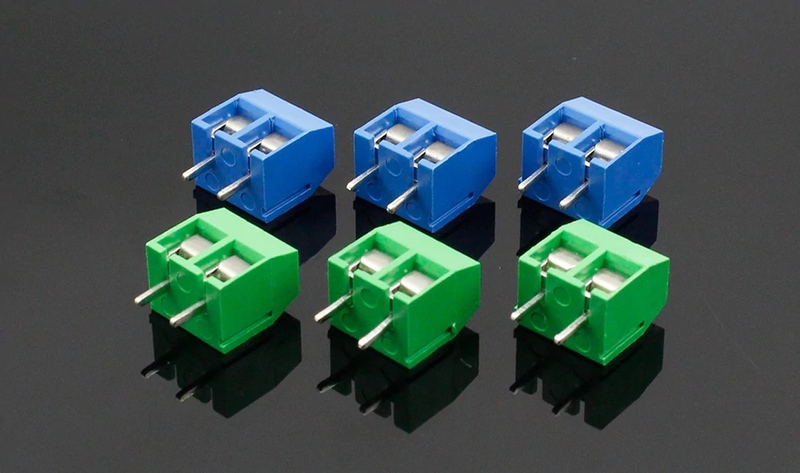 For the GPIO pins you need to get 2x 5 pin single row of male through hole pin headers. 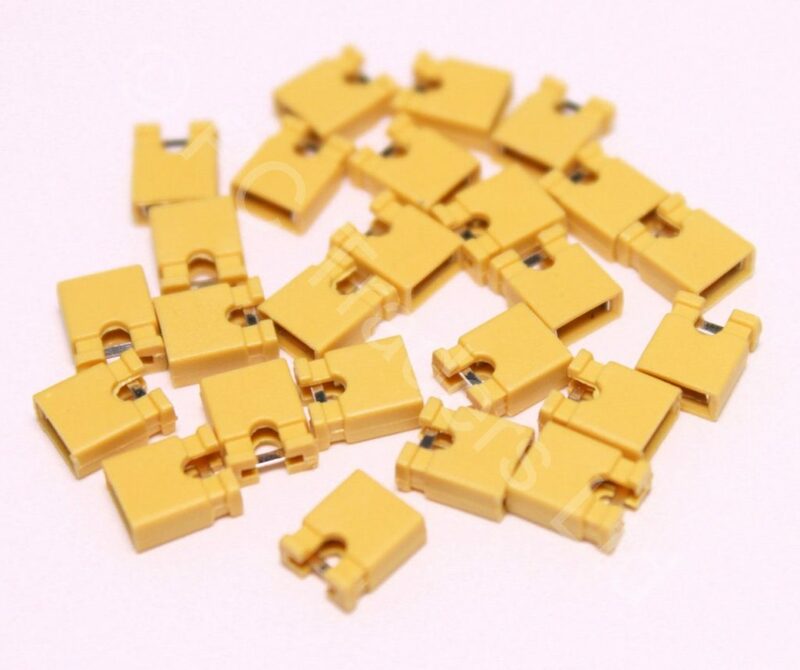 The pins come on a strip and you can buy a strip of 40 and just snip off the length you need. To be able to set the voltage of the board to 5v or 12v you are going to need a little jumper, they need to be 2.54mm in size. Let’s make them yellow so they catch your eye so you remember to set it. Even if you are building a 5v only board, you still need this jumper! The board needs some resistors, the dalles temperature sensor requires to be pulled high (with the ESPhome code) so that one needs a 4.7k resistor. Then there are 4 needed for the data lines and level shifter. Another 4 are optional, there are two spots on the board for pulling the additional GPIO’s up and down. You can use the value you need for those but I generally use 10k. All the boards, including the QuinLED-Dig-Uno have a spot for a Dallas DS18B20 TO-92 temperature sensor. It’s a cheap way to add a little sensor to the board! The ESP8266 & ESP32 natively operates at 3.3v but the Digital Addressable LED strips expect 5v for their input logic signals. Normally, sending 3.3v will work but if you start using longer cable runs or longer LED strips that run at high clock speeds, errors can start to show up. Feeding a correct 5v fixes all these issues! 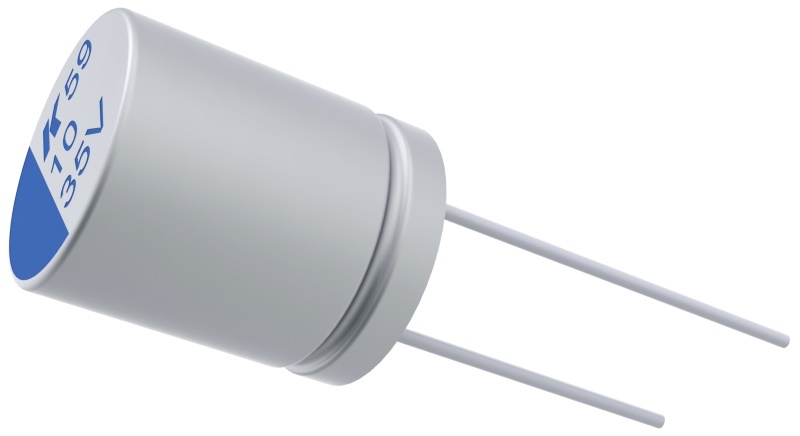 The variant used (74AHCT125N in a DIP14 package) is suited for high speed switching which is required for APA102 LED strip for instance. Both the Data lines and the Clock lines are fed through the level shifter! They are cheap so you buy them in packs of 10. 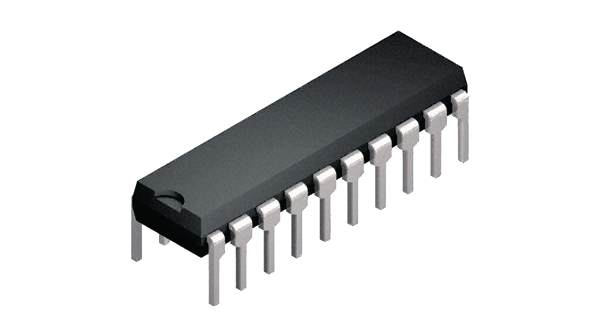 The DIP14 package also means they can be easily soldered directly to the board or if you so desire can be placed into a socket. *These shifters are uni-directional, you cannot connect switches or anything else that sends input or expect 2 way communication back to the board on these channels! The external GPIO pins do not have this limitation. Although everything will actually work without these big caps they serve 2 goals. The first is to limit inrush current into the LED strips which can sometimes damage the LEDs logic chips and second is to stabilize power when different amounts of current is needed because of very rapid color changes, the large capacitors will be able to smooth the demand a bit and help your power supply out, taking the big hits and keeping the LED strip bright and constant whatever the pattern! The board has two spots for these big capacitors. However because of the design one of them is slightly under the microcontroller while the other one doesn’t have a height restriction. For the one under the microcontroller you need to make sure it’s not higher than 1CM (8mmx8mm works best). The other one has a mounting size of 10mm and as mentioned does not have a height restriction. 5v only or 5v/12v compatible? You need to choose the appropriate capacitor for the voltage you will use the board for. 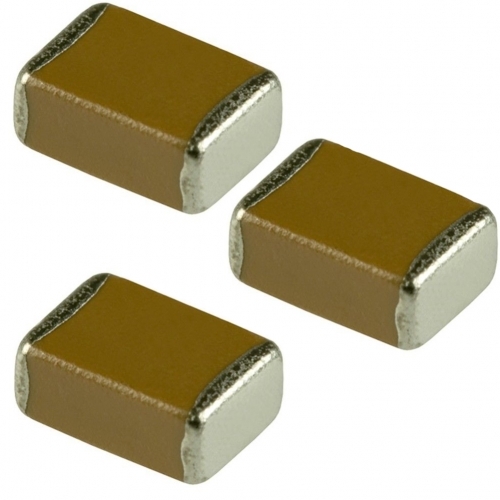 For 5v only boards you can use 6.3v capacitors but for 12v boards you need 16v capacitors. The QuinLED-Dig-Uno has several diodes on board. 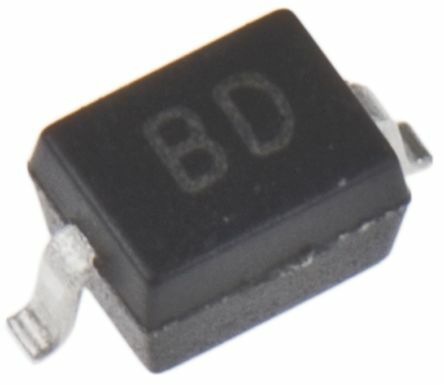 These serve 2 purposes, there is a diode in parallel with both the input terminals and the output terminals. Combined with the fuse these should help in reverse polarity situations (it should blow the fuse before damaging onboard components). The second is an inline diode which should prevent the ESP module on the board providing power back to the board through it’s 5v pin. Although this is in place I still not do not advise connecting 5v/12v power + USB at the same time! These diodes are a lot bigger then on my previous boards to make soldering easier! Tweezers are still recommended though! 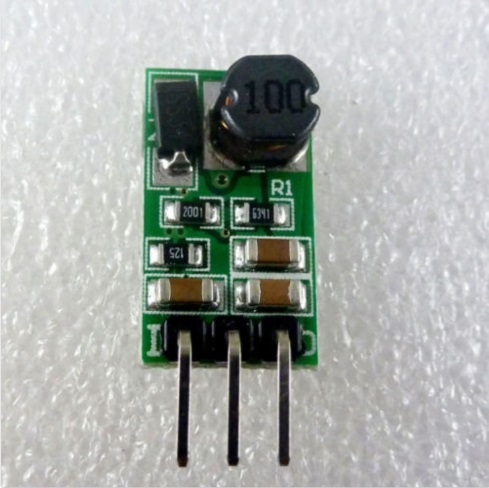 When putting together a 5v/12v board you are going to need a DC-DC converter. 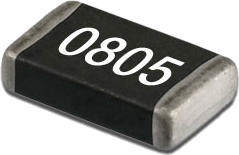 This component is NOT needed if you are only going to run 5v. This DC-DC converter is tiny but it does a great job and doesn’t become hot! 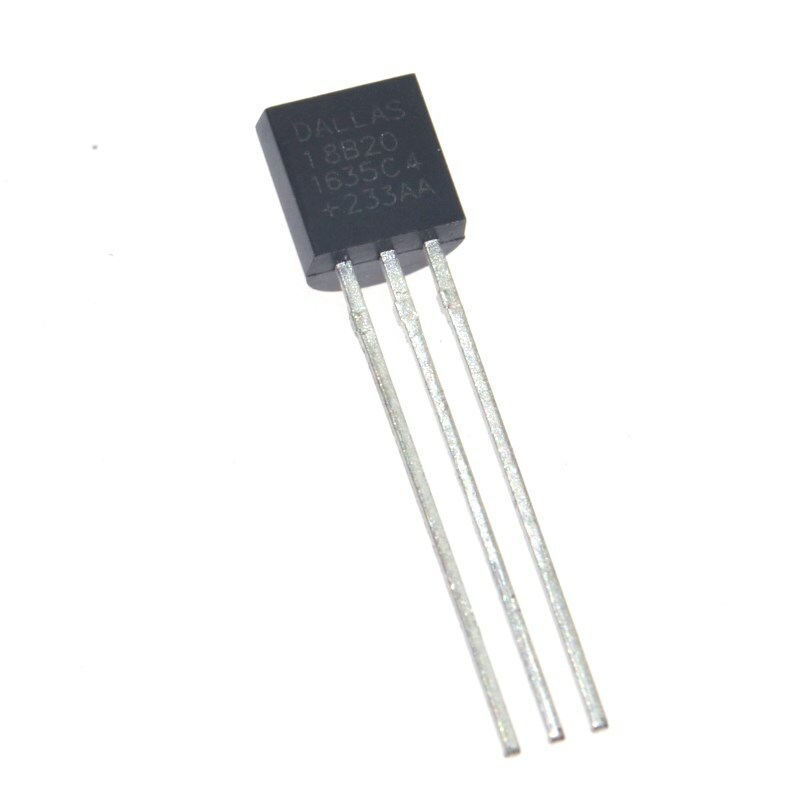 We are converting 12v to 5v. Sadly they are a bit expensive a piece but other solutions either required too many components or would make the board a lot bigger! I’m still looking for solutions but for now, this is it! To try and add a bit more “security” to the board I have added an inline fuse holder on the PCB. 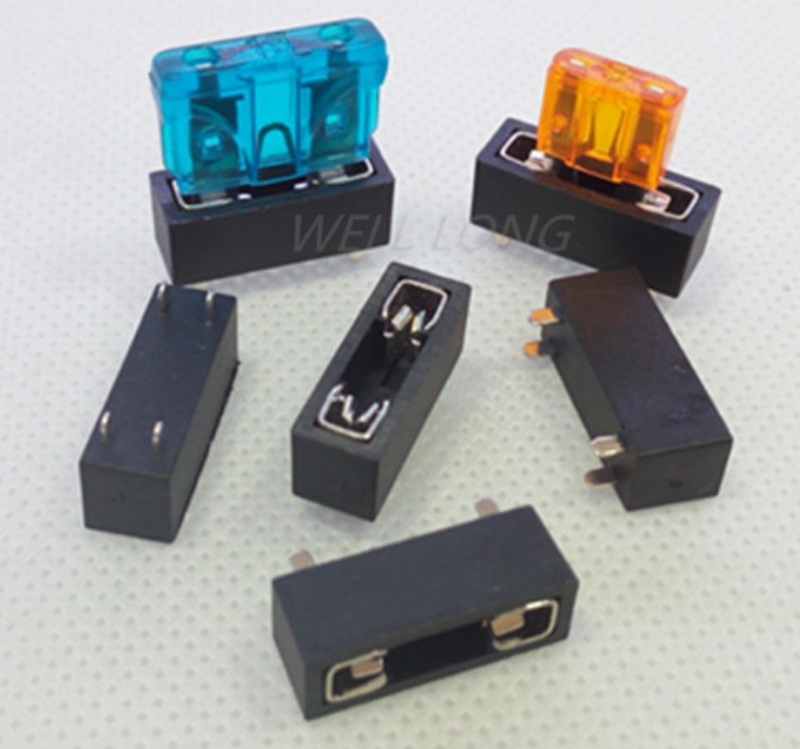 This holder accepts standard “CAR” style fuses which are cheap and easy to get in a lot of different values. Take a look at my “what value fuse should I use” article to figure out which values you should work with. 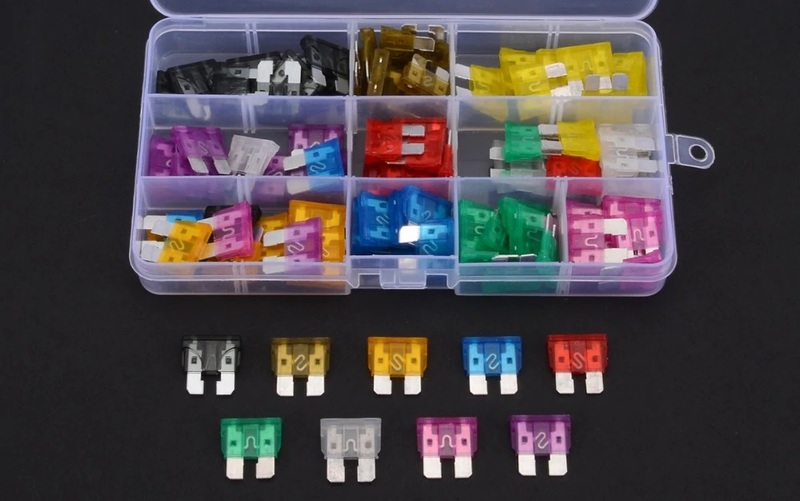 Once you have fuse holders you will need some fuses. Again, take a look at my “what value fuse should I use” article. With that said, to start out I recommend getting a assortment kit with lots of different values included. Above is all the components you need to assemble a complete QuinLED-Dig-Uno board! Again, often it’s best to order components for at least 5 boards, soldering doesn’t always go perfect and once you have one self-built Domotica device, it rarely stays at that number. If you do truly only need 1 or 2 boards, make sure to check out my component kits or even pre-made boards in this article! Also, don’t forget, this article only lists all the components you need, not the tools and other accessories you might also require. Make sure to take a scroll through this article to see what you might also need so you don’t get frustrated if you don’t have it while building! If you still need LED strip check out XXXXXXXXXXXXXXX. And to power it all, check out this article about power supplies!